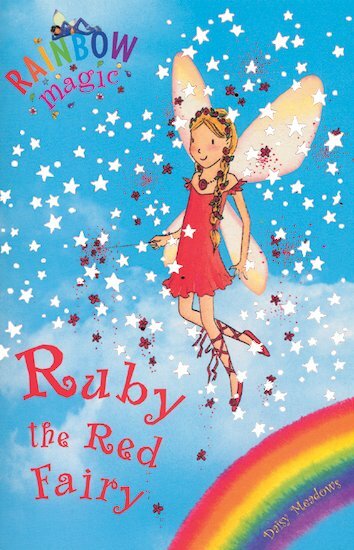 Our Rainbow Magic mega pack is always mega value, bringing you flurries of fairy friends in one starry set. But now it’s even bigger and better, with the Sporty Fairies getting in on the action too. Let’s see… Rainbow Fairies, Petal Fairies, Dance Fairies, Fun Day Fairies, Weather Fairies, Party Fairies, Jewel Fairies, Pet Keeper Fairies and Sporty Fairies. Altogether this bumper pack has sixty-three books of mega magic fresh from Fairyland. With this many fairies casting this many spells, you’ll be swept away! This pack looks really nice because my friend told me that in one of the books in the pack Rachel and Kirsty first meet, Really Good! I think this is a super good book!! !